When embarking on a shopping spree, it’s only natural for your mind to immediately wander to the heart of Brisbane City. We don’t blame you – it truly is the retail centre of town. When you know where to look, you can discover a treasure trove of boutique gems tucked away on one of the city’s key promenades – Adelaide Street. If you’ve got some money burning a hole in your pocket and want to avoid the crowds of the mall, we’ve put together a quick hit-list of places perfect for a splurge. Few Australian fashion labels boast a recognisable style that is wholly its own quite like Alannah Hill. Since its inception, this brand has catered to those that adore the finer things in life with an ever-evolving take on elegance, and its commitment to the finer details of the clothier craft keep it in the upper echelons of Australia’s fashion landscape. Alannah Hill’s stylish boutique on Adelaide Street features the pieces from the brand’s latest collections, celebrating the female form, enchanting colour and a splash of dramatic flare. If we were to summarise Jan Logan’s wares in two words, we’d go with timeless and essential. This luxury jewellery brand has been adorning wrists, ears and necks with elegant pieces since the late 1980s, sparkling on red carpets, wedding aisles and at everyday outings. 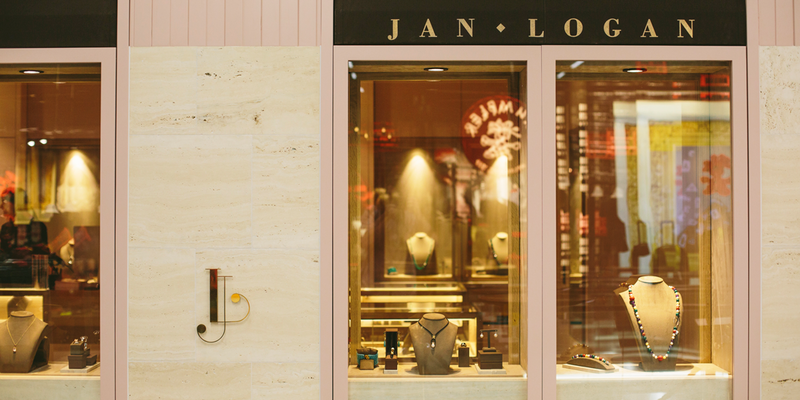 Jan Logan’s stylish boutique, which fronts Adelaide Street, is filled with pieces lovingly crafted by master jewellers, setters and polishers. The range boasts stellar workmanship across its range of rings, earrings, bracelets and necklaces, featuring diamonds, South Sea pearls, gold, silver and colourful crystals. Melbourne-born bag brand Crumpler is redefining the term ‘baggage’. Wide-eyed travellers, active go-getters and lovers of quality wares rave about the brand’s made-to-last bags and accessories. 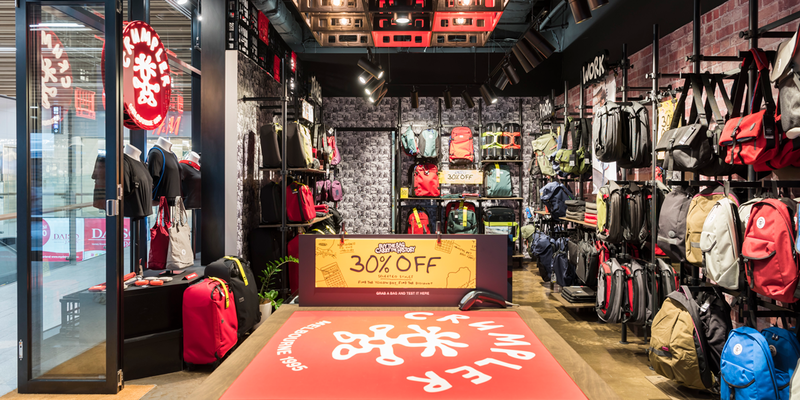 From messenger bags, stylish totes and multi-purpose backpacks to laptop sleeves, durable hard-case luggage and photography bags, Crumpler takes pride in offering a carrier for any occasion. Each meticulously designed item boasts an incredible amount of functionality, stress tested to ensure long-lasting quality. That’s the kind of baggage we can get into. Browse the wares at Crumpler’s Adelaide Street store and see if you can find a carryall to match your needs. 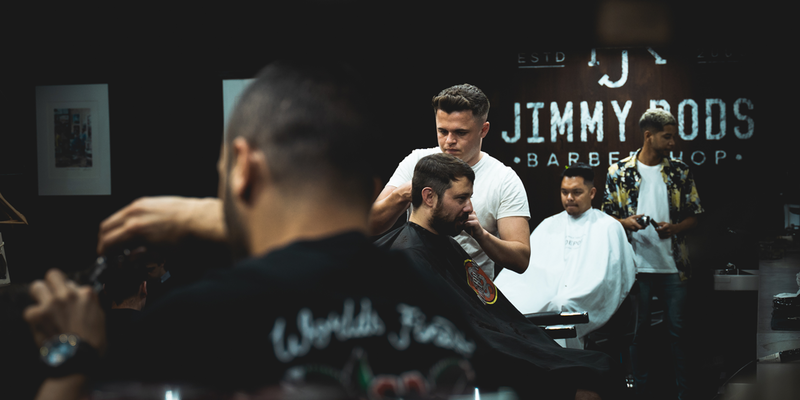 Nothing completes an outfit like a fresh cut, and when it comes to shaping up lads and gents with style and convenience, Jimmy Rod’s Barbershop is one of the best names in town. This scissor saloon is known not only for its sharp cuts, slick shaves and traditional barbershop values, but also for its signature brand of comfort and camaraderie. Shaggy blokes can sort out the scruff while enjoying lively conversation and top-flight service, leaving them feeling not only fresh faced, but relaxed and content. That’s not all – Jimmy Rod’s hungry patrons can also snack on gourmet toasties and sip on Fonzie Abbot coffee while they wait. Jimmy Rod’s Barbershop can be found on Adelaide Street, behind UNIQLO. When it comes to a bargain, 2.80 is the magic number. 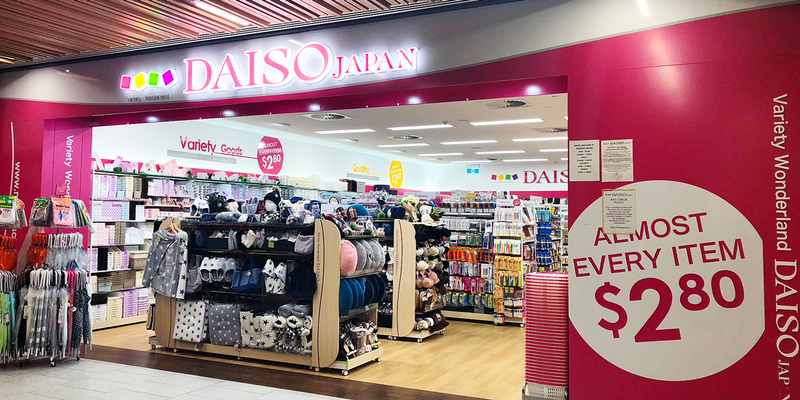 Japanese-born discount store Daiso broke into the Australian market a few years ago, bringing with it a mind-boggling array of products available for $2.80 each. Since its arrival, we’ve been putting our loose change to good use, sampling from Daiso’s comprehensive range of more than 200,000 products, comprising various lifestyle goods, novelty gifts and Japanese snack food. Seek out Daiso off Adelaide Street, on the lower-ground floor beneath H&M. We’ve saved the big fish until last, so make sure you’ve saved some dough for a final splurge. Japanese fashion giant UNIQLO made a considerable splash when it arrived on Queen Street Mall in 2016, with its expansive Brisbane City location housing the brand’s iconic range of garments, across a sprawling three-floor configuration. 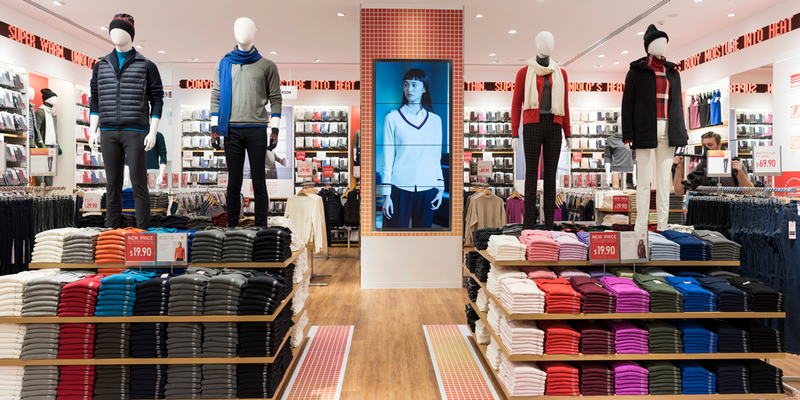 The apparel at UNIQLO is inspired by the values of quality, longevity and simplicity, bringing together these inspirations to imbue its range with contemporary and reliable design touches. If your wardrobe could use an injection of freshness (or if it needs a general overhaul), UNIQLO’s LifeWear makes is a solid foundation upon which to build. When it comes to cutting-edge street style, global fashion company H&M has its finger firmly on the pulse. If you want to sharpen up for a professional setting, dress down for casual lounging or simply look the goods at all hours of the day, H&M Queen Street’s selection of clothing for women, men and children is flush with fresh threads that will do the trick. 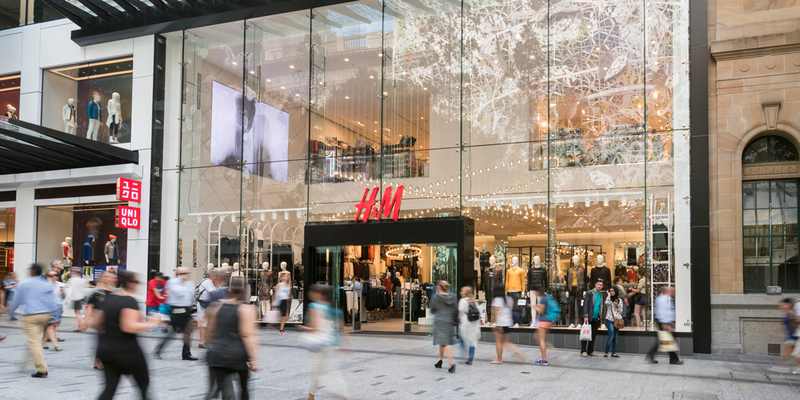 H&M’s powers that be are very conscious of trends, meaning that everything on the rack has been designed to be of the moment, if not already forward thinking. We encourage you to take your time here, there’s plenty to tempt you. This piece has been made in conjunction with our friends at 170 Queen.